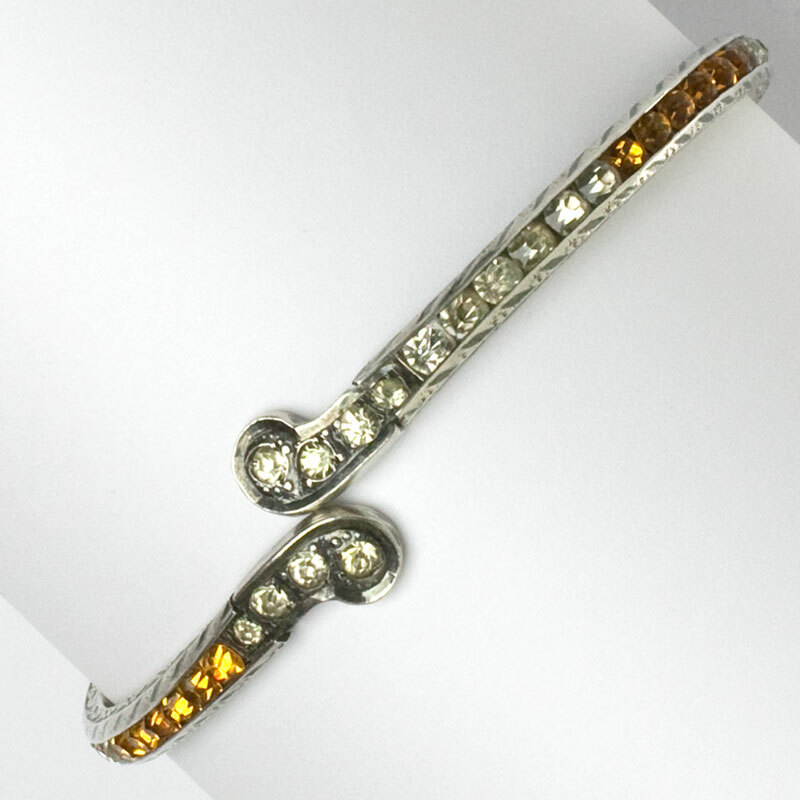 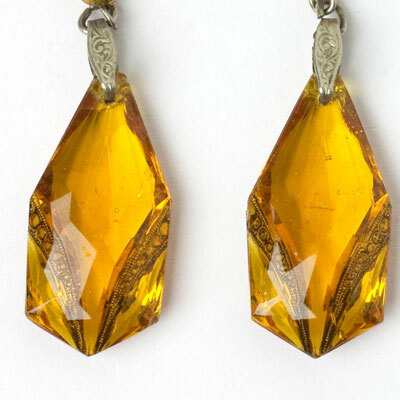 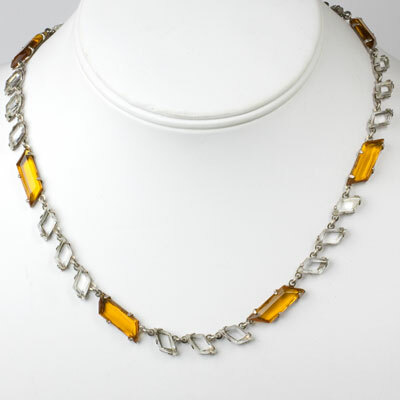 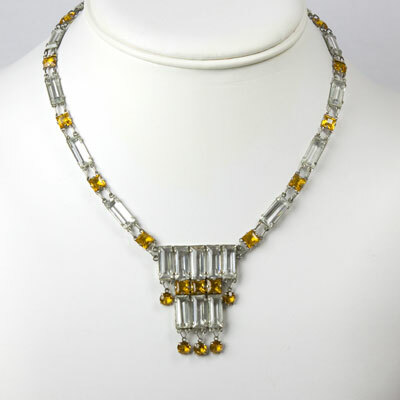 These mid-1920s citrine-glass pendant earrings are probably Czech in origin. 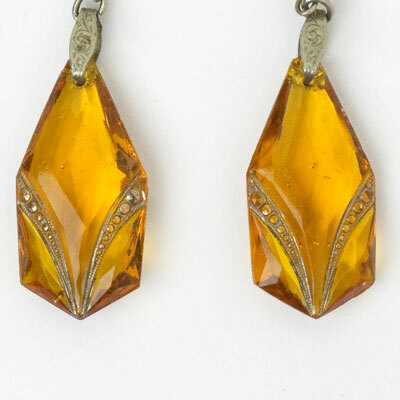 What’s really unique is the metal inlays in each drop, which give the appearance of marcasites. 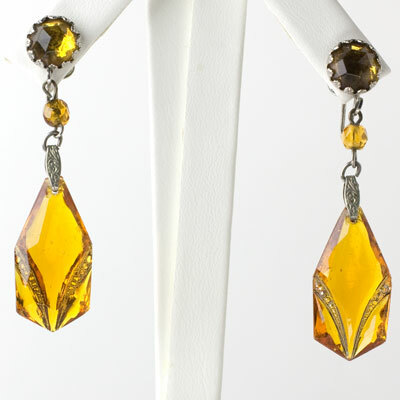 The faceted, domed crystal at the top (designed to fall at the earlobe) is the same color as the bead and drop. 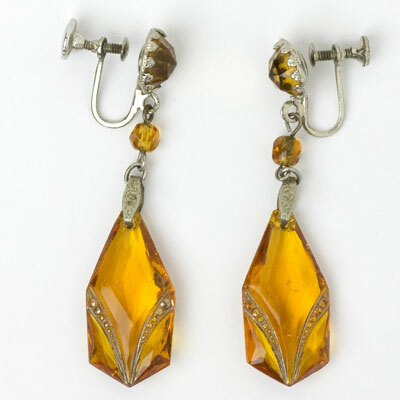 These all-original, Art Deco screw-back earrings can be modified for pierced ears. 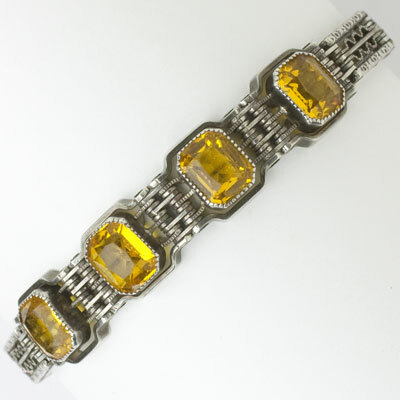 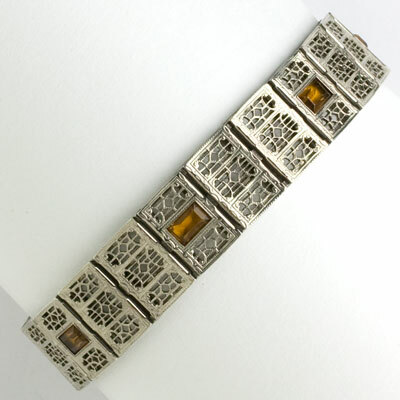 Scroll down to see a pair that have already been converted as well as coordinating pieces.